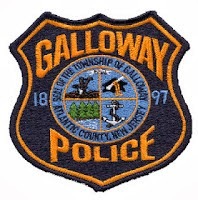 Galloway Township Police responded to 1,418 calls for service during December 8th to December 21st, 2013. Additional statistics include: 8 Burglaries, 50 Motor Vehicle Accidents, 85 Tickets issued, 1 Driving While Intoxicated, 32 Arrests, 15 Domestic Violence, 24 Fire Calls, 108 EMS Calls and 1 Juvenile call. 12/13 W. Jimmie Leeds Rd. Leonard Wilson II, 19, Tyrique Beckett, 18, and Mashhur Hayes, 19 all of Galloway were arrested by Det. Sgt. Donna Higbee for Armed Robbery during the month of December. Jon Franchetti, 46, of Galloway was arrested by Ofc. Steve Garrison for theft on December 17. Shaun P. Hussey, 29, of Margate was arrested by Ofc. Matt Worth for aggravated assault, simple assault, and theft on December 17. Rhoda C. Meighan, 21, of Egg Harbor Twp. was arrested by Det. Ro Latoracca for theft and burglary on December 19. Jeffery A. Manka, 24, of Galloway was arrested by Ofc. Kevin Costa for criminal mischief on December 20. William Bradley, 39, of Absecon was arrested by Ofc. Kevin Welsh for shoplifting on December 20. Joseph C. Kaplan, 44, of Egg Harbor Twp. was arrested by Cpl. Jerry Houck for contempt on December 21.